Erkin Guney, the chair of Shacklewell Lane Ramadan Mosque in Dalston (pictured above), told T-VINE that he was going through his mail a few days ago. 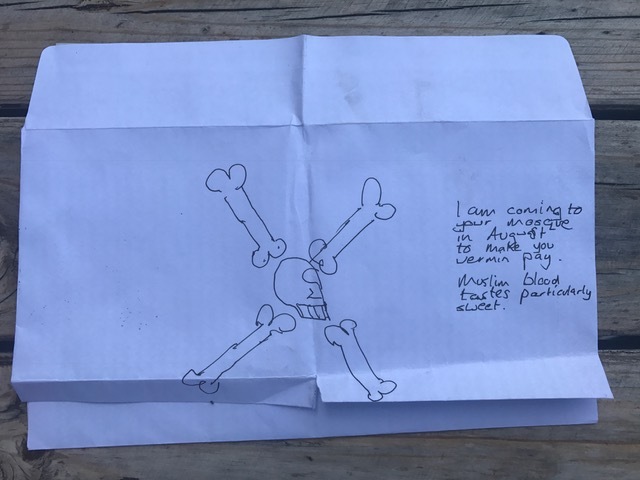 He opened the initial envelope to find a second one inside with the threat written on the front and more menacing words, “A Muslim Slayer Production”, on the back of the envelope next to a small hand drawn heart. After reading the threat, Mr Guney thought “Oh my God!” and told his wife, who promptly called the police. 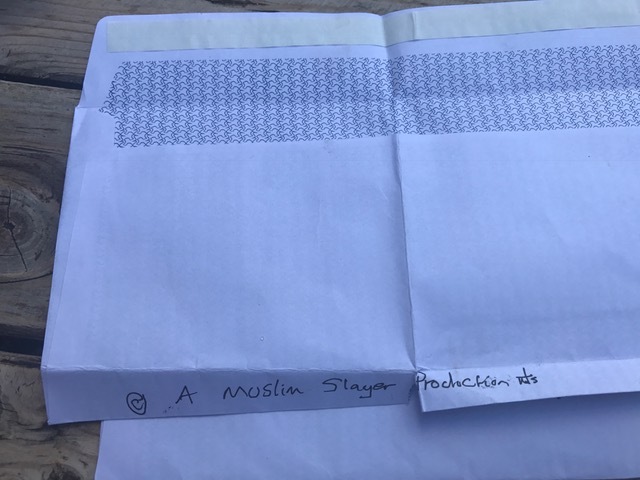 A local police officer visited the mosque on Friday and spoke to Mr Guney about the letter. The officer said the Met were “taking the threat seriously” and that it is being investigated by counter-terrorism. 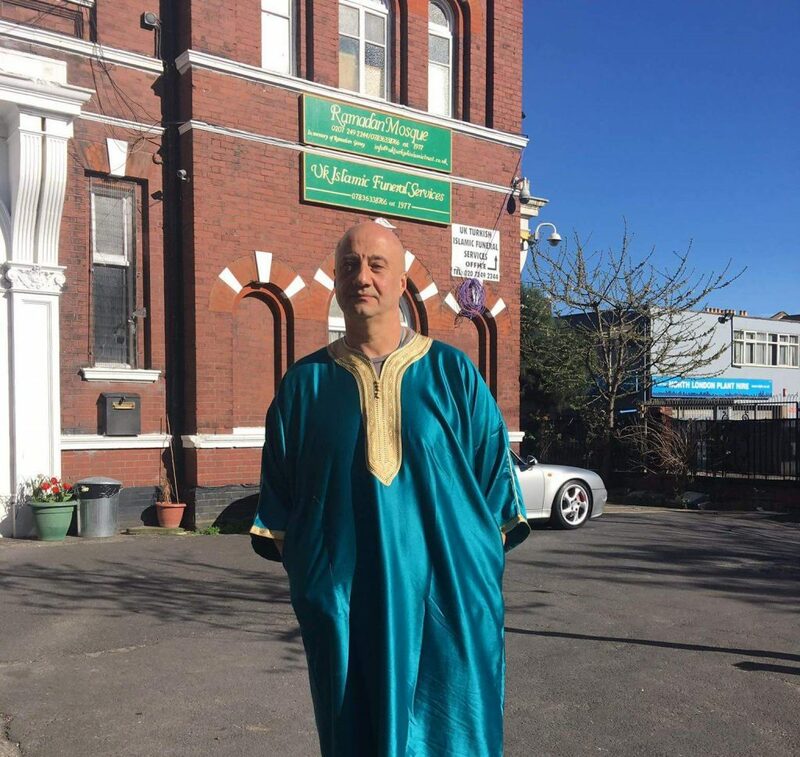 Although there has been a huge rise in hate crimes across Britain, Mr Guney said Shacklewell Lane Ramadan Mosque – known locally for its progressive approach to worship and Islam – had not been the targeted during his four years as chair. 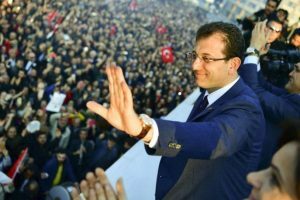 However when his father, the late Ramadan Guney, headed the mosque’s board of trustees, there were several bad incidents including a pig’s head being left outside the mosque, an arson attack, and some parishioners were set upon and beaten up. Mr Guney said the death threat has shocked him and his team. 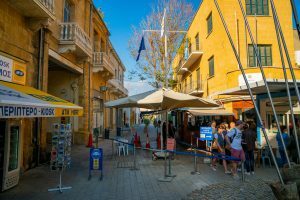 Their fears are heightened following the recent terrorist attack in nearby Finsbury Park, when a van deliberately targeted worshippers coming out of the Muslim Welfare Centre after teravih (ramazan) evening prayers that left one man dead and a dozen injured.